Skeli Wizzle is an American Hip-Hop Recording artist/ Producer is from Pittsburgh Pa. Hailing from the "The City of Champions" and "The World's Most Livable" city. Pittsburgh has produced great musical talent; George Benson,Billy Echstine and Wiz Khalifa among others.Even though Skeli had to survive the darker side of the city. He has worked hard to add to its rich history.The things he went through in life have shaped him and his music.He doesn't allow being raised by only his grandmother to be an excuse for his early troubles with the law but he uses these lessons and stories to reach the youth and show them how to survive be resilient and become a leader. What is a life without truth? He prides himself on being honest. It is key to him, he won’t talk about anything he hasn’t seen firsthand. When you listen to his music you can be assured that he is delivering an authentic experience, and no it’s not about glorifying street life, it’s about the realities of it. He finds encouragement in his experiences and hopes to encourage others through his work. His dedication and love for his craft are as consistent as his dedication and love that he displays in fatherhood. He is the one to watch. 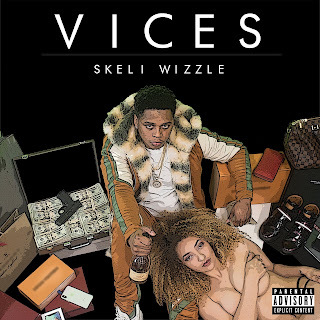 Check out Skeli Wizzle latest mixtape Vices and keep up with him on IG & Twitter @SkeliWizzle.